As we all know that script website are very resource intensive website, they demand a lot of hosting resources. Most of the script providers will tell you that you are ok with shared hosting. It is true for very early stage. If you are aiming to have high traffic and many users, you should avoid shared hosting and start with VPS hosting. So it is important to know reilable and suitable hosting provider for high traffic website like viral quiz. This finding is based on my real experience. I started with Godaddy shared hosting plan. It was real nightmare. I hosted ViralFB on it. Within 2 days, I reached real time users of over 100, and website went down. I instantly moved my site from shared to business hosting, but still facing capacity problems. So finally I asked my friend’s assistance to migrate my site to Digital Ocean. Digital Ocean is great, but it needs technical skill to set up and manage it. (I admit that I am noob at server management), so I cannot do nothing without my friend. Last week, I purchased phpviralquiz (www.phpviralquiz.com) and looked for suitable and reliable hosting provider. I found site ground, their offer is very attractive but it is quite pricy. Note: Here is my review on phpviralquiz. 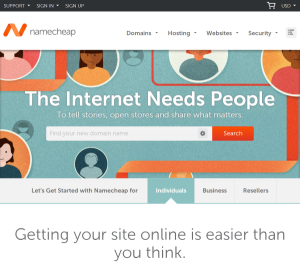 So finally I go with Namecheap.com. It is my first time with name cheap. I purchased VPS pulser plan. It is 19.88 USD per month, I also purchased CPanel with 11 USD per month. Set up is quite easy, but I had to call their technical assistant later as some of my configuration was wrong. The best thing I love about name cheap is their live support. Since I purchased name cheap, I had to talk with live support nearly almost everyday. Sometimes three times a day. Every time, I got good response, informative and supportive help. And for performance, its VPS supports quite well to my site. I have over 300 real time users with my site. I haven’t experienced any downtime. I just had 30 mins of site slowing time, but they provide prompt support to fix it (it was due to my misconfiguration of the server). So I would like to recommend Namecheap.com. if you would like to host viral script website with aiming to get high traffic. If you are aiming for high load of user, you should start with at least VPS plan at name cheap. Where can I buy quizzes to post on my site? Hi, Do you want to run quizzes on your existing website or Do you want to create new quizzes website? If your website is WordPress, you can use quizzes plug ins. There are several reliable plug in for WordPress.